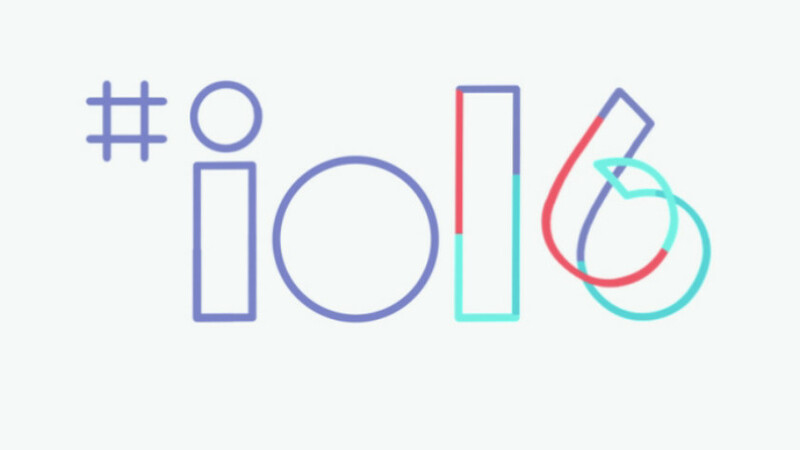 The Google I/O 2016 took place on 18th with around 7000 people attending it. 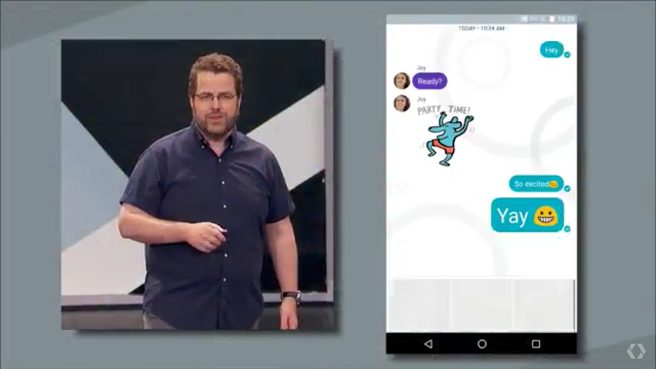 As a part of many new things, Google announced its 2 new apps, "Allo" and "Duo". 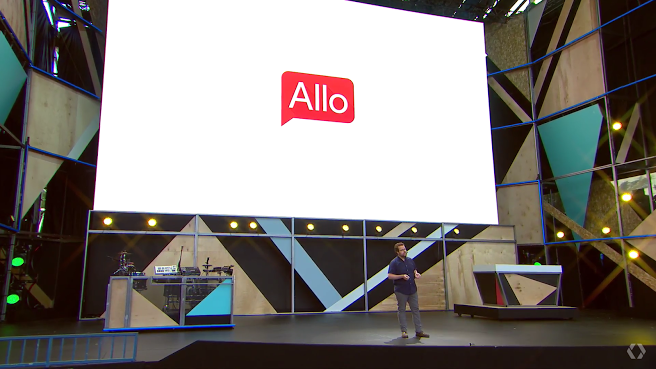 Allo is basically a messaging app with Google Assistant built right in. 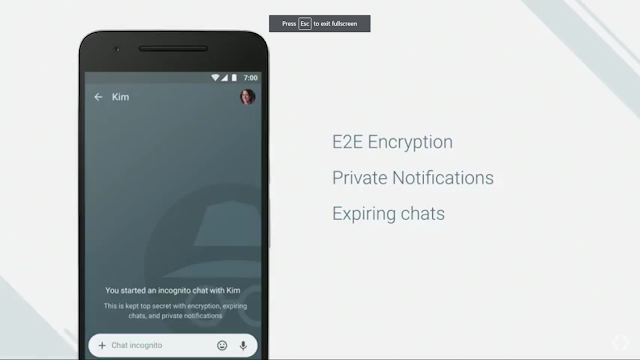 This app might be a replacement to hangouts. Google has announced that it will be available later this summer and is free for Android and iOS. This app can be considered as a fresh start to Google's new communication division. To start off, you need to signup with your phone number. The Google account can also be added then. The basic layout consists of regular sent and received indicators and a large and diversified set of emoji and custom stickers. We can also send photos with this app. An additional feature in this is we can doodle on the image before sending. Another cool feature u will notice is that by dragging up or down on the send button, we can enlarge or shrink the text size. Google calls it "WhisperShout". But what makes this app stand aside from all the other chatting apps is the inclusion of the Google Assistant powered by Google's smart machine learning engine which makes Allo, something more than a mere messaging app. You can start a conversation with Google assistant of any kind and it really came with rather humanly answers. 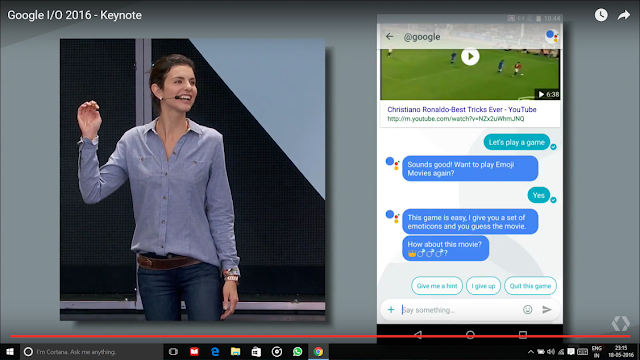 And Google's chatbot is smarter than other chatbots. It has the power of Google's Knowledge Graph, which understands many thousands of "entities" and how they relate to each other. So you can ask more complicated questions that couldn't be resolved just by crawling the web What adds to this is that we can play some games with it. By typing "Lets Play a game", google suggested a game called "Emoji Movies " game which is nothing but similar to dumb-charades. More games would be added in future. This chatbot also generates some message suggestions to be sent by analyzing the received message and they seem to be pretty accurate. For example, in the demo, a graduation picture was received to which, it generated results like " Congratulations" , "You Look great" etc. Sounds cool right. All conversations are encrypted "on the wire," which means that nobody on the internet can read them as you send your message. They are read by Google's servers, but they assure that the data is stored "transiently," which is to say that Google doesn't keep your chat logs around to be subpoenaed. Wait, there's more!! Allo also gives u an "incognito mode" feature enabling which, all chats are End-to-End encrypted and Google can't read it at all. 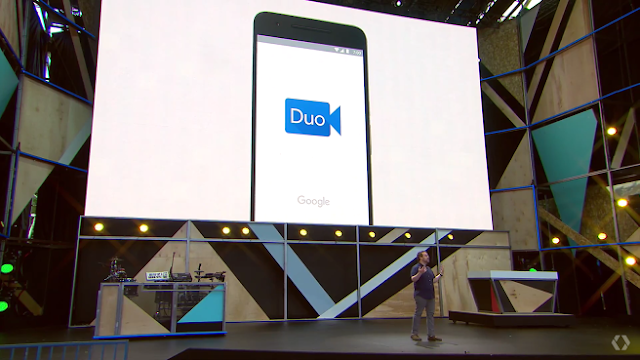 Google is also set to release a new video calling app called "Duo". This app seems to be much faster and simpler video app than the others out there. This app is also available for Android and iOS for free. The setup process is same as for Allo. The interface seems pretty simple. When u start the app, u see front cam view of yourself in the top part. You can find the contacts to call on the bottom part. You can just scroll to view more contacts. When you call, the person on the other end of the line answers, and you're having a video chat. You can mute your microphone, you can flip the camera. Another simple feature you will fins is that before you answer a receiving call, you can see the live video of the person calling. Google optimized webRTC and connects the calls using QUIC over UDP for a much faster initial end-to-end encrypted connection. That makes this app superfast. 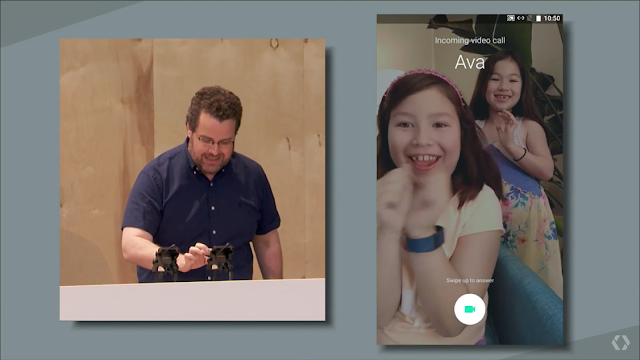 Duo dynamically adjusts the video and audio quality to suit whatever connection you're on. It is also able to seamlessly handle your phone switching from Wi-Fi to cellular and back again without dropping the call. That is pretty much it. 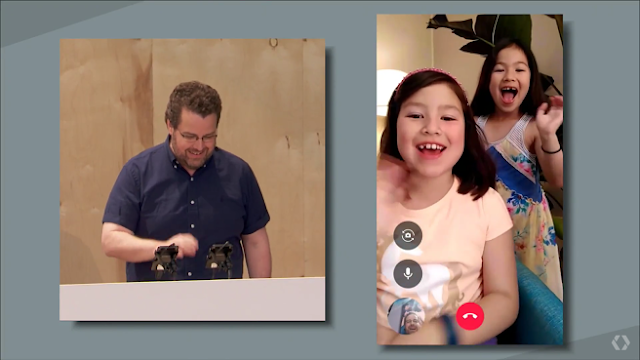 Duo can be compared to Apple's Facetime. Although we can say that Duo will have an upper hand cuz of the high speeds offered by the app and its cross-platform support.